FLUSHING, Queens (WABC) -- The waning days of summer are upon us, but while that may be unfortunate for many, it's a sign that one of the tri-state area's premiere sporting events is back. The U.S. Open Tennis Championships is the fourth and final grand slam event of the year and typically runs from late August through early September. This year's edition kicked off on August 28th and runs through September 10th. 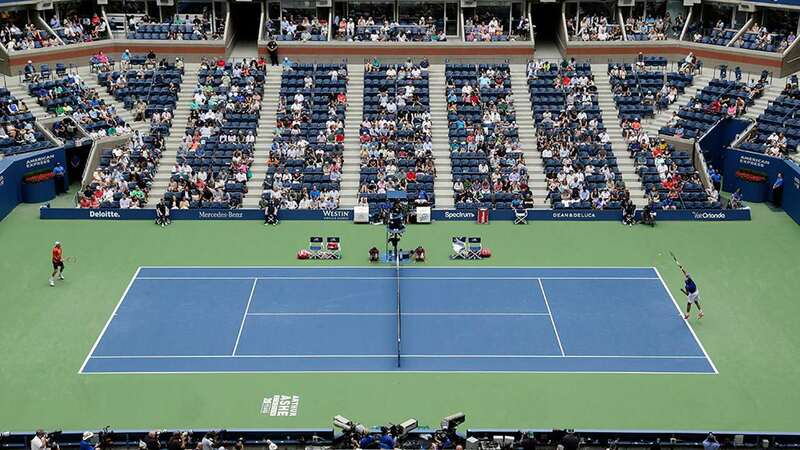 Hundreds of thousands of fans will once again make their way to the USTA Billie Jean King National Tennis Center in Flushing Meadows-Corona Park in Queens to see two weeks of tennis across the 22 match and practice courts inside. Even with a slew of injuries forcing some of the world's top players to skip this year's tournament, there's still plenty of fan favorites to root for and many things to do while you're checking out the U.S. Open. 1) Prior to entering the gates of the tennis complex, the crown jewel of Flushing Meadows-Corona Park is a sight you can't miss. The Unisphere has been a staple of the park since it was built for the 1964 New York World's Fair. 2) Now that you're inside and before you kick off your day or night session of tennis, go ahead and take a sip of a Honey Deuce, the signature cocktail of the U.S. Open. 3) If you're hungry, take a stroll towards the food court where you'll find a wide variety of options, from your standard sporting event fare to some of New York City's most popular foodie staples like Fuku, Pat LaFrieda, Korilla BBQ, and Melt Shop. 4) Now it's time for some tennis. As the largest tennis-specific stadium in the world, Arthur Ashe Stadium is the centerpiece of the U.S. Open and where you'll find some of the biggest matches of the tournament, so you won't want to miss the chance to step in. 5) For a much closer look at the action, check out the Grandstand, one of the Billie Jean King National Tennis Center's newest courts which opened last year. 6) One of the worst kept secrets at the U.S. Open are the practice courts where you just might get an up close look at some of your favorite players. 7) Before you head home, check out and take a picture with this artwork commissioned for the U.S. Open by artist Sandro Figueroa Garcia on the grounds of the tennis center. For more information, check out http://www.usopen.org.